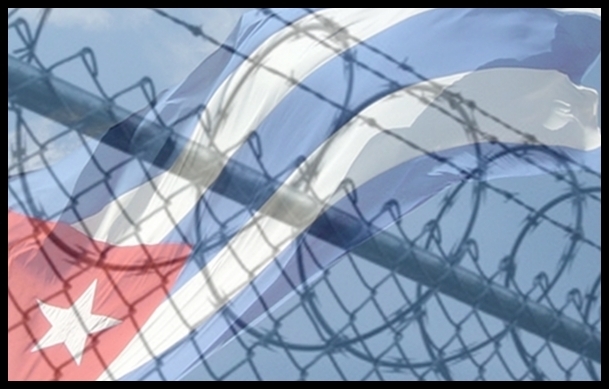 Angel Santiesteban, 25 March 2015 — For the first time in the history of the violations against the Cuban dissidence by the political police of the totalitarian Regime, there are two lines of thought: one subdued and the other more severe. Those in the opposition who have publicly supported the intention of the governments of the United States and Cuba to reconstruct diplomatic relations have had their rights respected to travel abroad, reunite, publish, etc. But those who openly oppose the reestablishment of diplomatic relations, unless the Cuban Government respects human rights and frees the political prisoners, have been detained and had their passports take away, like the plastic artist Tania Bruguera, who was visiting the country, so that she now finds herself held hostage, and the activists Antonio Rodiles and Ailer Gonzales. The Ladies in White, together with their leader, Berta Soler, and one of the 75 prisoners of the Black Spring, Angel Moya, Antonio Rodiles, Ailer Gonzalez, Claudio Fuentes and Tania Bruguera, among others, were captured, some for several days, and, coincidentally, have all opposed the reestablishment of relations. It’s painful that this distance exists between both factions, which, when united, have suffered so much abuse from the dictatorship. Some who accept relations keep quiet about the abuses committed toward those who think differently. In a certain way, they have to recognize that silence converts them into accomplices of the Regime. 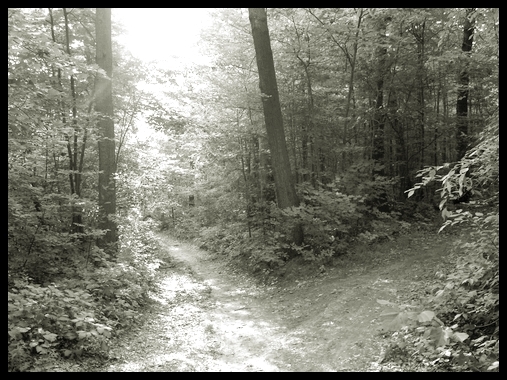 We can’t forget that in different ways, thinking from parallel paths, is precisely what transforms us in dissidence, because we came fleeing from belonging to that mob that accedes to the call of the Dictator, which sometimes, even in an indirect way, can manipulate us in its favor. Although we think that others are wrong, we should defend their right to be so. There is no one dissidence that is bland and another that is extreme, only degrees that are necessary and that strive for the same thing. Unidad de Guardafronteras Prison, Havana. March 2015. Ángel Santiesteban-Prats, Border Control Prison, February 2015 — If I had any desire to be set free, it wouldn’t be with a great desire to accompany my children in their human, academic and social growth and to cooperate in this dream of liberation for my country. When I think that I will have to return to that huge prison that is Cuba for Cubans who cannot express their opinions about the reality that surrounds them, or the artists who, through their art, bring another aesthetic that doesn’t make the leaders happy, the emotion fades like that light they try to turn off, to hide. I makes no sense to say that freedom is outside my imprisonment when I fell that I am more free than those who say they are free and speak softly to hide their thoughts, or prefer to lie to others with the intention of not being identified by the officials — somehow the police — persecutors of those who dare to be honest, although they silently envy them. To be punished by a dictatorship is one of the best experiences I’ve received in my life and I am very proud of it. Knowing that history will record me as against the tyranny that has ruled the archipelago for more than half a century, fills me with joy and is, in itself, the greatest payment for the suffering that I have received, for the punishment they deal like a decoration impossible to match. Today, Wednesday, February 25, I called the headquarters of the Ladies in White and thanked them for their shouts of freedom for the political prisoners; their boundless courage, and for bearing up under the beatings and humiliations they receive, as one Sunday 22 February, when they were physically abused, humiliated and imprisoned, as well as Human Rights activists who support the Ladies in White, among others Ailer Gonzalez and Antonio Rodiles. The government has to stop its constant violation of these rights, and accept that once the opposition is a tangible reality it is impossible to annul them no matter how many outrages are committed against them. In addition, the countries who converse with the dictators must demand respect and not allow them to be used and underestimated in this game that the tyranny smears in search of the oxygenation that guarantees their remaining in power. Down with the dictatorship! Nation and Liberty! Ángel Santiesteban-Prats, Border Guard Prison, Havana, 8 March 2015 — The dictatorship has tried to hide my voice for two consecutive years. I think it has failed. 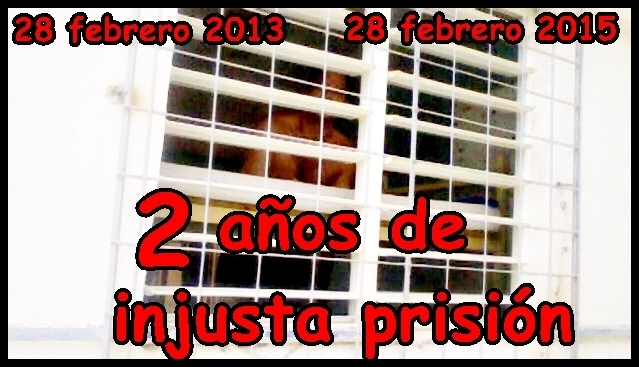 On February 28 I completed 24 months in prison, and I can assure you it has accomplished nothing, that the punishment has not served the purposes of the totalitarian regime. They’ve put me through horrors, and I like to think that each one has left me unscathed. If I remember correctly, I could see the fear in their eyes for what they’ve done and the admiration for my vertical posture and not wanting to live in silence under their boots. I have never asked them when they will release me, because I believe that other political prisoners have that right before me. 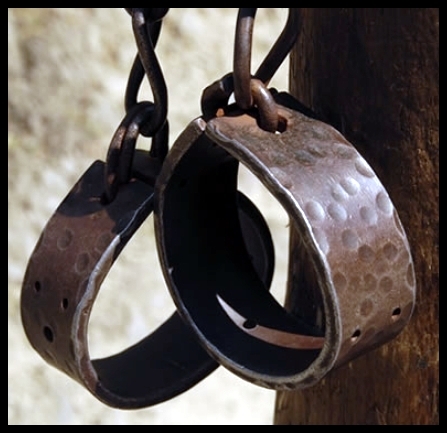 Of course, I have not received “time off for good behavior” where the years are calculated as ten months if the prisoner behaves well. Last year I asked my family for a cake to celebrate the first anniversary. This year, as is their wont, the regime has intensified my isolation in their constant failed attempt to achieve it. I want to share with all those who love freedom of expression, as an inviolable principle of every intellectual and the society in general, this second year in prison, an honor that the despots in power have given me as a gift. Thank you and hugs to those who understand and support me. Angel Santiesteban, Border Patrol Prison Unit, Havana. February, 2015 — I do not have access to the news online nor the articles by specialists and political scientists in the daily papers with respect to the recent dialogues between President Obama and the president of Cuba. And, as the days pass and we are ever farther from that 17 of December of last year — when their secret contacts and accords became known — there is a question that continues to grow in my mind, and it is: why did the initial list of prisoners to be exchanged not include those who have been jailed in Cuba for almost 30 years? 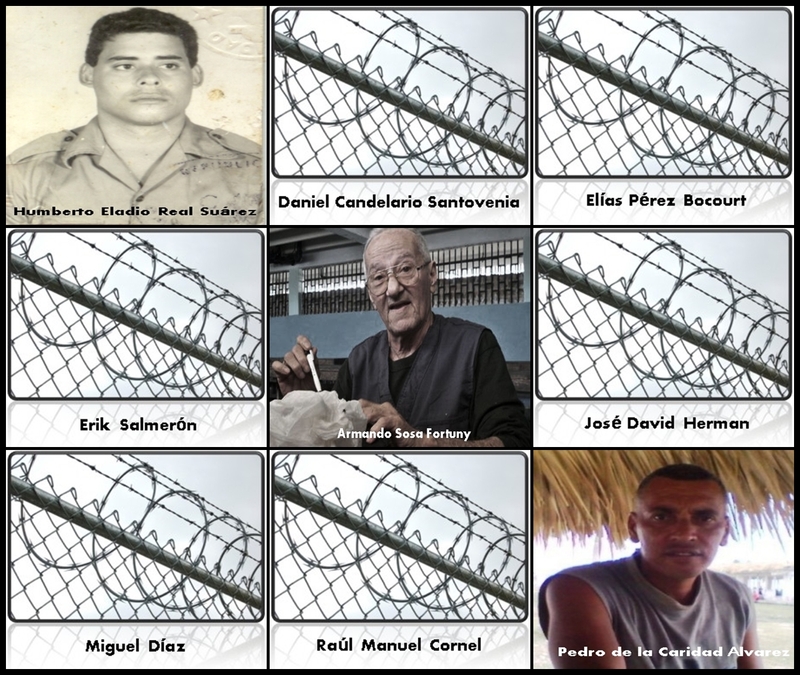 How is it possible that these prisoners were left out of that list of 53 Cuban political prisoners? I am not saying that they should have been substituted for any of those on the list, simply that they should have been included. And the more I ponder this, my puzzlement grows like a snowball. It simply seems to me a sign of disrespect to play politics and forget those men, those brothers, those human beings who have been suffering in the worst of captivities for decades. Would that, in a second “round,” as always happens in these political maneuverings, these men are taken into account. This I pray. Remember that those imprisoned Cubans are serving sentences that are double those that were being completed by Castro’s spies. Perhaps, as the song says, “they have it all figured out,” and in fact they were left for another future spy exchange — such as for Ana Belén Montes, their spy in the Pentagon — or to soften up the North American Congress so that they will lift the embargo. I suspect that the script is already written: Obama and the Castros have a common enemy, which is the Republican Party. They are the ones who need to be convinced, because, were it up to the Democrats, they would already, in the blink of an eye, have set up a satellite of China or Russia in the Caribbean — which is what they’re doing, of course, the only difference being that it is official, made legal by the American government itself. I already foresee that this hand will be bitten, and will catch rabies. Border Patrol Prison Unit, Havana. February, 2015. Angel Santiesteban, 9 March 2015 — I recognize that at times I don’t mention writers living in Cuba for fear of harming them, although I know how most Cuba intellectuals think, I know, I’m aware of it, because of what they do, the game continues and what will they get in return for faked docile behavior in support of totalitarianism. Among those I don’t mention is Francis Sánchez, a writer from Ciego de Ávila, whom I have accompanied for years in his intellectual development, and then, that call to his conscience to express his political feelings. To this end, he has faced fierce government criticism, harsher in the province than in the capital, being more isolated from the international media and with fewer Human Rights activists. Thus, he has had to swim upstream and against the current most of the time. I know his family, whom I don’t name so as not to cause them to be hurt; I have visited his house, I have crouched in that space of creative lineage, I have accompanied his sons and bought them fish food (they are already teenagers), and they consider me a family friend, to my personal pride. I also thank them that through them I met Laurita in Mexico who helped me, against their will, to create this blog “The Children Nobody Wanted,” and I will always be grateful. It has been gratifying to know that — despite the pressures of State Security, the Provincial Party and the cultural marginality of the functionaries who direct this organization — Francis has answered his call to conscience, resisting the tension of knowing himself to be walking a tightrope, on the razor’s edge, and he has exhibited his work “Cicatrices” (Scars), in the gallery of the artists and human rights defenders Luis Trápaga and Lía Villares. Take care brother, they are lurking, and fabricating a case against you and it will be like an absurd journey into hell, that you won’t believe until you see the total darkness. In any event, there at the point of no return, my voice will be with you, my cry joined with that of your family. I send you a huge hug and my pride in our friendship, and the mutual need to express ourselves honestly in our time, feeling the light that crosses our body, in that full transparency brought to us by the true artists, and first of all by our José Martí. I ask the international community to keep Francis Sánchez and his family in sight, preventing another institutional abuse to silence his voice, his art, which is so painful to the dictatorship. 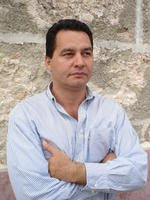 Angel Santiesteban Prats,Jaimanitas Border Patrol Prison, Havana, 12 February 2015 — Today February 12, 2015, precisely the day of opening of the Havana International Book Fair, various officials have come to me noting one of the recent complaints concerning the slavery of the prisoners in Cuba, their cheap labor, and the inhumane conditions with which they work twelve to fourteen hours a day, including the weekends or public holidays or non-working days. To make matters worse, they work with boots and torn and patched clothes, which they cannot even buy with their minimal, token salary — which sometimes doesn’t arrive on time — and they have to wait until the following month to cash it. Prisoners, like almost always, are fearful for reprisals when the inspection officers depart, since they hinted to them of the deprived circumstances in which they survive their sentence. I am pleased that, somehow, the blog fulfills the role for which it was created, which is nothing more than make justice prevail for the destitute, the fearful, or those who are unaware of the way in which their voices influence society. My generation, the vast majority, got tired of receiving the topics about which we should write, when the repressive government sends them through cultural officials. The truth is that somehow they will give you new boots and adequate clothing. They will not send them to work sick or beaten. Nor, or at least I suppose, while I am nearby, will they allow them to work well beyond the established hours. And they noted down in their agendas the type of job they perform and the fair payment that should receive, since the officials confirmed that prisoners are being swindled by their employers. We know that, unfortunately, a large part of Cubans do not have access to the Internet, but apparently the government is paying attention to a part of my complaints. I’m happy for them, but they do it only to conceal them, we hope they will be eradicating them. Angel Santiesteban, Jaimanitas Border Patrol Prison, Havana, January 2015 — Ever since we were born, we heard our parents offer their political opinions in a low voice when they were of criticisms against the government. It was an act that we learned by imitation, something natural spawned in us as cultural training. Silence began to be part of our being. Look both ways before expressing a problematic point of view, this was a spontaneous act that was borderline naivety, but was actually a survival instinct. When I started to lose the fear, friends got frightened. They didn’t want to understand that even the word “political” in the mouth of an intellectual, was something completely contradictory because if the dictatorship had taught us anything, it was that it was using the national and Latin American artists to wave flags in their favor. But when it came to expressing discontent, it was an aberrant, demented act that – in clear words – was nothing more than hitting the wall with one’s head, and that seemed logical to no-one. For this the same “logic” with which they fertilized us across generations, we have endured more than half a century of dictatorship. It has been the most effective weapon of the regime against the Cuban population. First they enslaved our souls, then they have made us know the rigors in the body. Ángel Santiesteban-Prats, Jaimanitas Border Patrol Prison Unit, Havana, December, 2014 — Lacking access as I do to the predictions of political scientists (which perhaps is to my advantage so that I may be forgiven), I infer from President Obama’s latest measures that he now has nothing to lose. Therefore, any action he takes can only be a plus, or at least help him to maintain his social status. The President is in his second term. He has been besieged from the start of his presidency by the Republican Party. Therefore, besides affording him a means of revenge, the process he has set in motion will at least provide him with personal satisfaction. Barack Obama has left his campaign promises for the end. With little more than one year left before he departs from the White House, he has decided to make good on his words. He has begun dismantling the Guantánamo Naval Base prison, preparing the checkmate for when the North American electorate’s dissatisfaction is manifested (and the reason the Democrats lost the majority in the Senate and both Houses of Congress), for his immigration reform. Add to that the Patient Protection and Affordable Care Act (“Obamacare”), which the Republicans hope to repeal. And now there is the prisoner exchange with Cuba and the announcement of diplomatic relations being resumed. All of this reminds me of the popular saying about how “the river whose waters are rough rewards the fisherman with a better catch.” Obama is the only one who can gain something from this turmoil since the possibility of Republicans revoking immigration reform would leave them in a precarious situation with the Latino community, and the 11 million immigrants in general. This would cost them votes before the presidential election by forcing them to play a negative role. Regarding the Cuban question, Obama has changed for generations to come that anti-Communist thinking which the first wave of exiles brought in the ’60s, and then later in the ’70s, and even during the Mariel Boatlift; generations who in large part emigrated in search of the American Dream and therefore their motivation was largely economic. Those who arrived later, indeed were genuinely fleeing the precariousness of the socialist system, but they said that if it were not so, they would not have left. In short, the majority of Cubans who are in the United States are concerned only with their economic progress, the subject of Cuba is foreign to them, they are only interested in working, earning, living as well as possible, helping their relatives on the Island and, at least once a year, going back to show off their material wellbeing, and to be received like the “prodigal son.” For them, the embargo is an impediment to realizing their dreams. For some, the Castros are good, and if there is poverty in Cuba, it is the fault of the United States. I reiterate that Obama now has nothing to lose personally. If he has anything to gain, it will be for his party and its presidential nominee. Nothing more than this: Life will surprise us with the catch from the turbulent river. Hector Maseda after his release, with his wife Laura Pollán, founder of the Ladies in White, who later died under circumstances still being questioned. 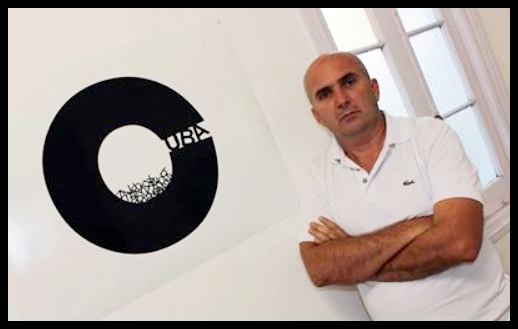 Ángel Santiesteban-Prats, Border Guard Prison Unit, Havana, February 2015 — February 12th will be four years since the release of the last prisoners belonging to the group of 75 arrested in that fateful “Black Spring” of 2003. History and Memory are two spaces that in time unite. I remembered Hector Maseda telling me about the pressures he received those final days to abandon the county. The way in which the political police have pressured me is similar to what Maseda told me about At times I feel I am in the same mold, they’ve only changed the people, to my honor. On more than one occasion Maseda came to see me in the Lawton jail. There, I had finally heard his voice and a powerful force entered me. He said words to me that out of humility I would be incapable of repeating, and coming from someone whom I admire and respect, I will keep them in my memory for the rest of my days; but right now I could restart my imprisonment. I feel such strength as at the beginning thanks the spirit of those who have sacrificed their lives, and those who are still willing and accompany me with their breath. As José Martí said, “honor is happiness and strength,” which like a blanket, my brothers in the struggle cover me with. 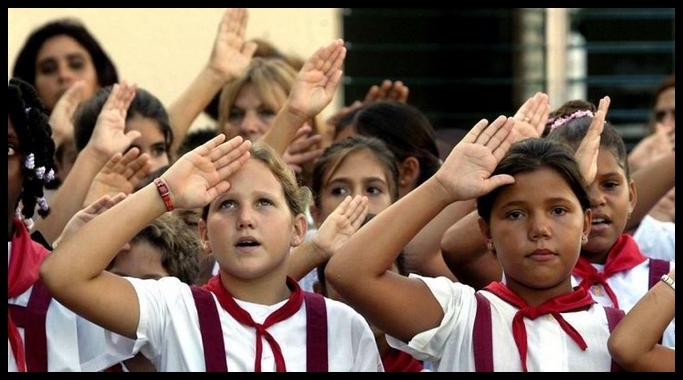 President Barack Obama’s enthusiasm, his excess of emotion and assuredness, convinced as he is of acting in the Cuban people’s best interests and, of course, most significantly and above all else, in the most beneficial way for the United States (for many reasons that we are not going to explain in this post) — for the Cuban regime, it is nothing more than a power play, a show of arrogance and contempt. Obama’s words insulted and frightened the Communists, who therefore demanded a forceful response. I can picture Fidel Castro’s aggravation upon hearing it, the insults that he must have spewed upon interpreting Obama’s remarks as insolence. Simply put, the words of the dictator quash the dreams of Obama, who enjoys the unique and unprecedented opportunity given him, and which barely hours later, already confirm for him that about which some in the dissident movement have warned him: that the more the Castros gain strength, the more they will double down on human rights violations – because a totalitarian system is diametrically opposed to independent, individual thought. In his speech, if General Castro broached the subject of the opposition, it was to label us as “mercenaries at the beck and call of the United States.” To call me that, who have never entered the U.S. Interests Section building, save for the year 2000 when I went to the common area on the ground floor to collect my visa, for my first cultural trip to the north, is effrontery of the first order. Since then, I have been given a visa without appearing in-person. Similarly, never have I received money or instruction of a political nature. I have never been face to face with a representative of the United States government. If I have had two faults since joining the dissidence, they are the suffering caused to my loved ones, and the financial drain on my sister, Mary, and my closest friends. Nonetheless, I am accused of being a “mercenary” — I who gave up receiving the government’s handouts which, because of literary prominence, others with less, live like princes attached to the dictator’s teat. There is no need to be confused. If in his first speech announcing the prisoner exchange, Raúl Castro said that “we should learn the art of coexisting, in a civilized manner, with our differences,” these are manipulative words, uttered only so that President Obama will take ownership of them. The mind of the Castros is focused on “big ideas” about projects at the U.S. and Cuba government level — never on the “ordinary understanding” with which we long for our divergent thinking to be accepted, at least on principle. The great gift in Castro’s response is that we now find ourselves at the beginning, and negotiations with the Castros are not now, nor will ever be, of any use. Would that this causes Obama to pay attention to and trust the opposition.